Chief Petty Officer R.N. 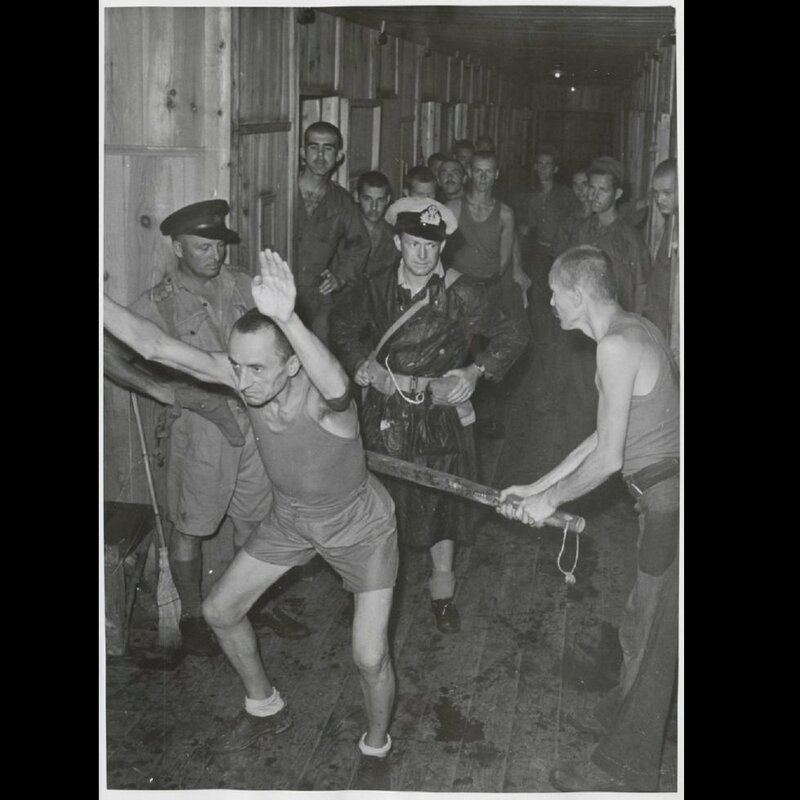 Harold Newman in the position known as the "Afuna Crouch", he and Radioman Lawrence Sibert (swinging the rod) are demonstrating a regular form of beating to Captain John Goodchild and Navy Lieutenant John Barnes, 1945. Image courtesy of Argus Newspaper Collection of Photographs, State Library of Victoria. 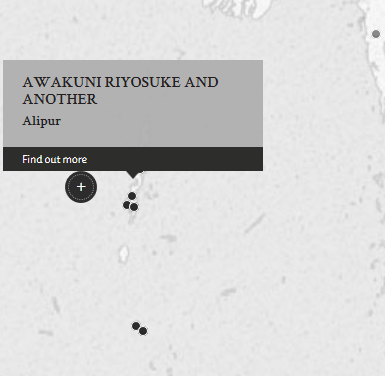 The defendants Awakuni and Yamaguchi were in charge of Indian coolies, including victim Chet Ram, all of whom were working at Alipur on Andaman Islands. On or about 1 June 1945, Chet Ram was absent from morning roll call. Defendants Awakuni and Yamaguchi went to look for Chet Ram and brought him to the place of assembly, before tying him to a pole and beating him unconscious. He was revived and beaten again, and subsequently died from the beating. Fateh Mohamed was a coolie working under second defendant Yamaguchi at Alipur. On or about 1 June 1945, Fateh Mohamed was given leave of absence by another Japanese and went to the village of Aberdeen. Yamaguchi discovered Fateh Mohamed selling sugar cane at the bazaar. Charging Fateh Mohamed with being absent without leave, Yamaguchi beat Fateh Mohamed continuously with a stick on their 3-mile journey back to Chatham Jetty. Thereat, Yamaguchi tied Fateh Mohamed to a pole and beat him again. After the party crossed to the other side, Yamaguchi beat Fateh Mohamed once more and the latter died there. In their petition against sentence, the defendants cited previous instances where Japanese offenders were sentenced to life imprisonment for similar acts of beating their victims to death. However, the Department of the Judge Advocate General's review report advised that the death sentence be upheld and that the said Japanese offenders sentenced to life imprisonment could be considered fortunate. Awakuni, Riyosuke. Leading Seaman. From Japanese military. From Japan. Guilty. Death by hanging. Sentence confirmed. Yamaguchi, Haruo. 2nd Class Petty Officer. From Japanese military. From Japan. Guilty. Death by hanging. Sentence confirmed. Teufiq, Hasan. Captain. From British Indian Army. Fukushima, Sachio. Senior Officer. Official Prosecutor of Tokyo Local Court.